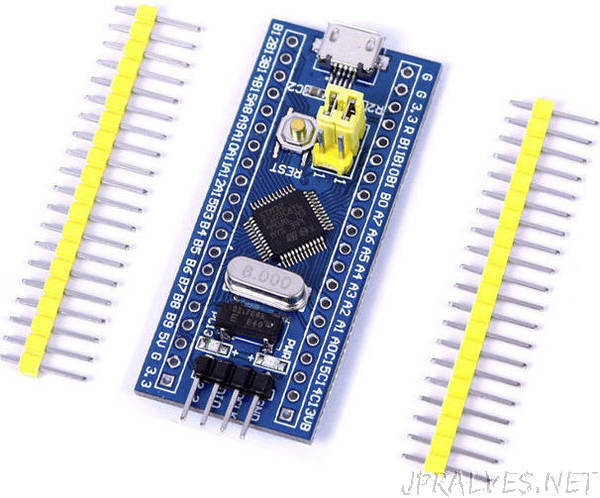 “You and I both love Arduino boards, from the smallest Attiny85, to the biggest MEGA2560. However if you need more speed, more analog inputs, more precision, but still don’t want to switch from Arduino programming, there’s a elegant solution….The blue pill! If you haven’t heard there’s an Arduino nano like board, nicknamed the blue pill. Would you care to guess it’s colour? The best thing (apart from it’s amazing speed and overall performance) is the ability to program it with the Arduino IDE, essentially making it an Arduino.